Today, Apple released iOS 8.1, a major update to the mobile operating system found on iPhones and iPads. The long-awaited update enables Apple Pay, the new NFC mobile payment feature built in to the new iPhone 6 and iPhone 6 Plus. With Apple Pay, you can store your favorite bank debit or credit card on your phone, make contactless payments at a number of major retailers (both in-store and online) and use your own thumbprint as your PIN. What phones are compatible with Apple Pay? To unleash all the features of Apple Pay, including pay-in-store and pay-in-app, you’ll need a new iPhone 6 or iPhone 6 Plus. You can use the in-app features of Apple Pay with the new iPad Air 2 and iPad mini 3, but these devices cannot be used to complete purchases in stores. You cannot use the iPhone 5S or earlier devices with Apple Pay. Before you can use Apple Pay, you’ll need to make sure your phone’s operating system is currently up to date. If you haven’t done so already, connect your device to Wi-Fi and install iOS 8.1 by tapping Settings, then General and then Software Update. Follow the prompts to complete the install process. You may also want to take a moment to update your bank’s mobile app through the App Store, if possible. 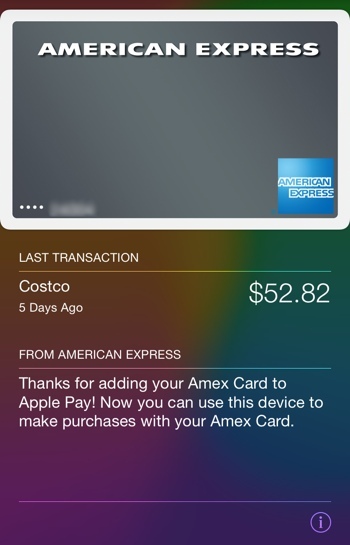 Once iOS 8.1 is installed, you can set up Apple Pay by entering the Passbook app. Agree to allow Passbook to access your location, and then tap the new “Set Up Apple Pay” link under the section titled Credit and Debit Cards. Be ready to enter your Apple ID and password. The first step in setup is deciding which debit or credit card you’d like to use with the service. The simplest option here is to choose the card you already have on file with iTunes. Get the physical version of your iTunes payment card ready for reference. Then enter in the card verification details requested and agree to the Terms and Conditions. Alternatively, you can add a brand new card to Apple Pay – a good option if you use a smaller bank that doesn’t yet support the Apple Pay feature. If your bank is fully supporting Apple Pay, you can review your recent purchases through Passbook. 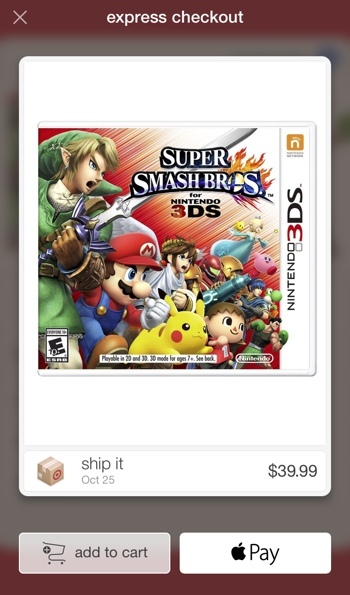 Tap the card you’d like more details on, then tap the information button (“i” in a circle towards the bottom of the screen). You can toggle notifications here to get mobile alerts every time your card is used, as well. 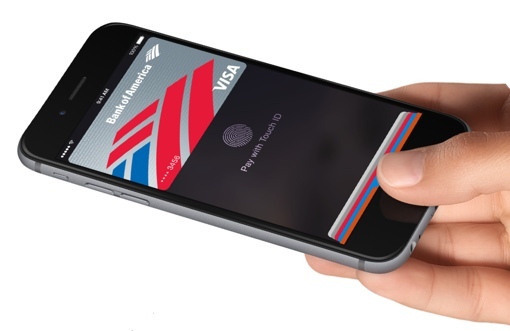 Apple Pay can currently be used to complete transactions in a number of major retailers, including Aeropostale, Apple Store, Babies R Us, BJ’S Wholesale, Bloomingdales, Champs Sports, Chevron, Duane Reade, Foot Locker, FootAction, Macy’s, Nike, Office Depot, Petco (including Unleashed), RadioShack, Six:02, Sports Authority, Texaco, Toys R Us, Walgreens, Wegmans and Whole Foods. You can also use Apple Pay to complete your fast food transactions at McDonalds, Subway and Panera Bread. Expect more stores and restaurants to come on board over the next few weeks, including Nordstrom, Sephora and Chipotle. When it comes time to pay for your transaction, tell the cashier of your intention to use Apple Pay. Hold your iPhone 6 near the NFC point-of-sale terminal (where you would otherwise swipe your card) and lightly place your thumb over the home button (but don’t press it) to activate Touch ID. That’s really all there is to it! Apple Pay isn’t just for making purchases in stores – it’s a convenient way to quickly make purchases while shopping through apps on your phone. As of today, you can use Apple Pay to complete payments with AirBnB, Apple Store, Chairish, Disney Store, Fancy, Groupon, Hotel Tonight, Houzz, Instacart, Lyft, MLB.com, OpenTable, Panera Bread, Spring, Staples, Target, Tickets.com and Uber. Note that you may need to update these apps first and create a new account to enable the Apple Pay feature. Apple Pay will automatically populate these apps with information about your payment card and the shipping address associated with it. That makes completing purchases lightning quick — you need only your thumbprint to authorize them. Of course, that's a double edged sword here: Be careful you don't accidentally authorize a purchase while using an app for the first time. At here, I got one thing to know that is we can use apple pay in app stores. I thought Apple pay only available on stores, restaurants etc. Thanks Fox Van Allen fro this stuff.